A mother has been jailed for subjecting her son to "enduring" cruelty by pretending he was severely ill, to gain publicity and financial rewards. 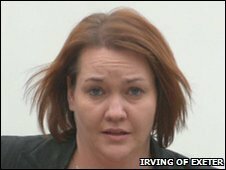 The actions of Lisa Hayden-Johnson, 35, from Devon, led to him being operated on, Exeter Crown Court heard. She also presented him in a wheelchair to the Duchess of Cornwall, appeared on television and spent charity donations. She was jailed for three years and three months after admitting cruelty and perverting the course of justice. The court heard that Hayden-Johnson subjected her son, who is now eight and lives in another part of the country, to a total of 325 medical actions - including being confined to a wheelchair and being fed through a tube in his stomach. She claimed her son suffered from a long list of illnesses including diabetes, food allergies, cerebral palsy and cystic fibrosis. Andrew Macfarlane, prosecuting, told the court that Hayden-Johnson's "sadistic fabrication of non-existent symptoms" amounted to "24-hour-a-day torture". He said that the boy's medical treatment meant that the child was socially stigmatised. As a result of Hayden-Johnson's actions, the child underwent a series of "physical intrusions and interventions" which included blood tests and intravenous treatments. 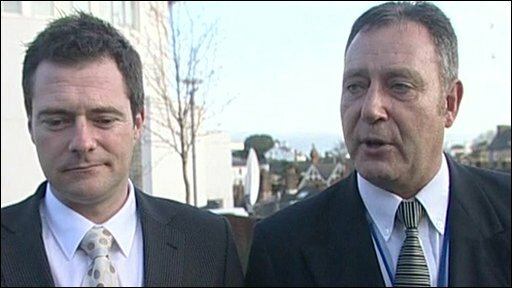 Mr Macfarlane said that defendant, who comes from Torbay, achieved national attention as a result of her actions. The court heard that she frequently described her son "as the most ill child in Britain" and that she amassed cash donations and charity gifts, including two cruises. Mr Macfarlane added that boy had been "convinced that he was chronically and seriously ill" and said that the long-term effects of what happened to him remain unclear. The court was also told that in a bid to avoid a diabetes test arranged for her son in 2007, Hayden-Johnson falsely claimed that she had been sexually assaulted, which later led to her being charged with perverting the course of justice. Sarah Munro, defending, told the court that her client suffered from a factitious disorder and a factitious disorder by proxy. The conditions used to be known as Munchausen syndrome and Munchausen syndrome by proxy. The former can cause sufferers to feign illness to draw attention to themselves and the latter leads to the abuse of another person, again to win sympathy or attention. "It's often said that the question is whether the defendant is sad, mad or bad," she told the court. "Perhaps the reality in a case of this kind is that it's a little bit of all of it." Passing sentence, Judge Stephen Wildblood said five adjectives could sum up Hayden-Johnson - "cruel, manipulative, perverse, disordered and pitiful". He said: "Your son will have to realise the fact that the one person who is supposed to care for and nourish him throughout his childhood was in fact causing him harm. "Your experience in custody will be that people who behave with cruelty to children are received in prison as they are in society - with utter rejection. "Your name and face are well-known throughout the country. You will never be in a position to deceive people in this way again. "Anyone else thinking of behaving this way should think about your much publicised downfall." He also handed her a disqualification order banning her from working with children.